When we moved to Nashville, Tennessee ten years ago, both the culture and the landscape of the South quickly captured my heart. The seasons here each have special gifts to share. After an icy cold winter, the yellow buttercups, redbuds, and cherry blossoms of spring give your heart hope that warmer days and outdoor adventures are ahead. The little roadside stands in summer, filled with wooden crates of ripe tomatoes and fresh green beans are a sight to see alongside the hanging baskets with blooms bursting in rainbows of every bright color. Then fall, with its gorgeous array of golden to rust colored leaves, all perfectly accent the mums, pumpkins and hay bales on every porch in our neighborhood. 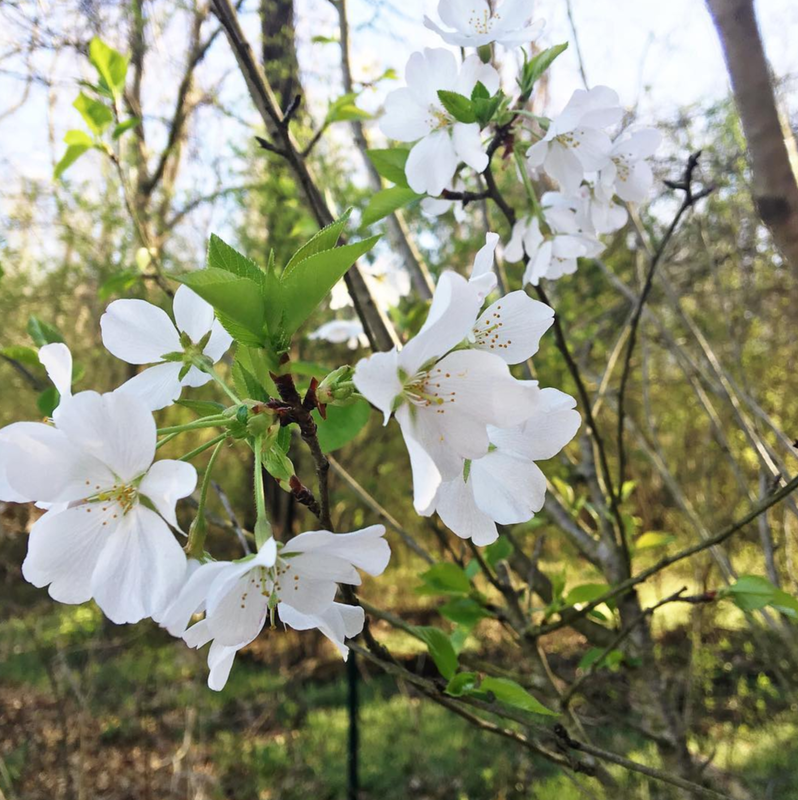 After spending the first 25 years of my life growing up in California and Nevada, I became obsessed with knowing what every beautiful tree, shrub, plant and flower was in this new region. Armed with little gardening knowledge or experience, but an enthusiastic heart, I dug deep into this new hobby. My garden philosophy is simple: just get started and figure it out as you go. My boxes and beds have grown in size over the years and so has my harvest. I’ve had wins (dahlias, green tomatoes, cucumbers) and losses (hard freezes, floods, deer, droughts, moles). Each season brings new challenges, but always more rewards. My hope is that the pages of this Joyful Garden Planner will do the same for you. You will not find any gardening advice here, and there are no advanced skills or knowledge required to use this memory book. Just dig in, get your hands dirty, and be ready to capture all the wins (and failures) of growing your own garden. Cheers to sunshine, seeds and happy memories from my backyard to yours! Amber is a Creative Business and Sweet Life Cultivator. She is the designer behind The Joyful Garden Planner and founder of Inspired Retreat, an annual business gathering of creative women entrepreneurs. As Marketing Director at Southern Weddings and Lara Casey Media, she is enthusiastic about sharing the message of meaningful marriages and intentional living. A multi-passionate serial entrepreneur, Amber has a big heart for helping women build thriving creative businesses and joy-filled lives. 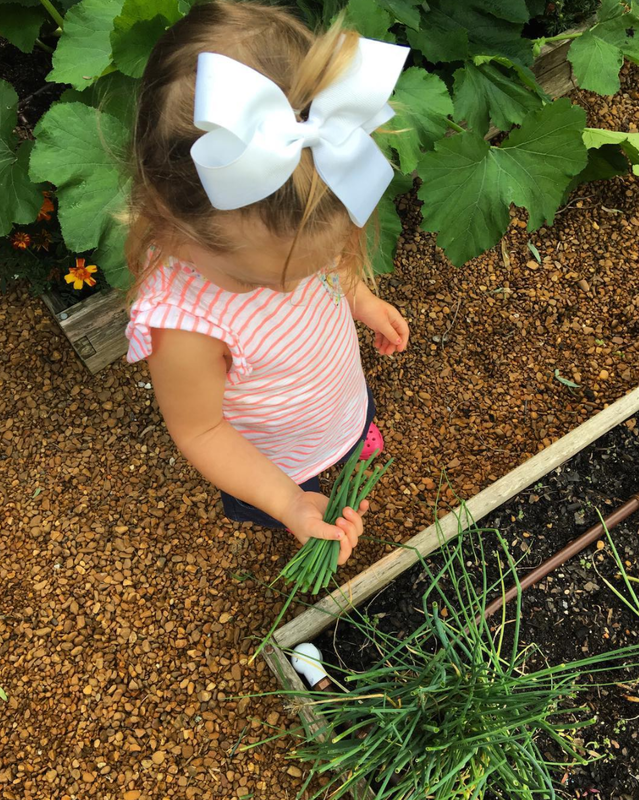 She combines her love of creating, gardening, faith and family into one ‘sweet life’ with her husband and two little ones outside Nashville, Tennessee. Our little backyard garden has grown in size little by little since it was first started 5 years ago. We now have four 4x4 raised beds and two 3x5 raised beds. We primarily grow your typical summer veggies (tomatoes, cucumbers, peppers, squash), but also many varieties of dahlias and zinnias. 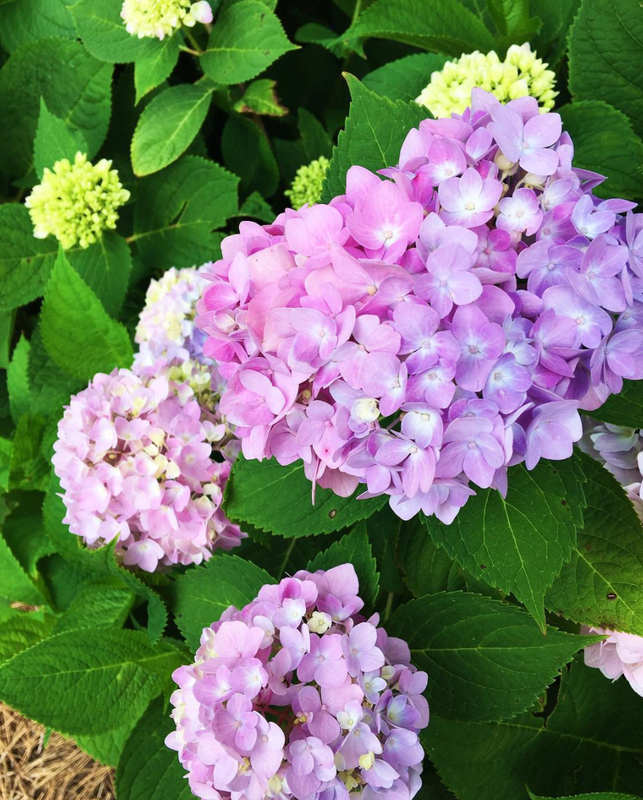 We also have beds around the house with different varieties of hydrangea including limelight, annabelle, quickfire and endless summer. 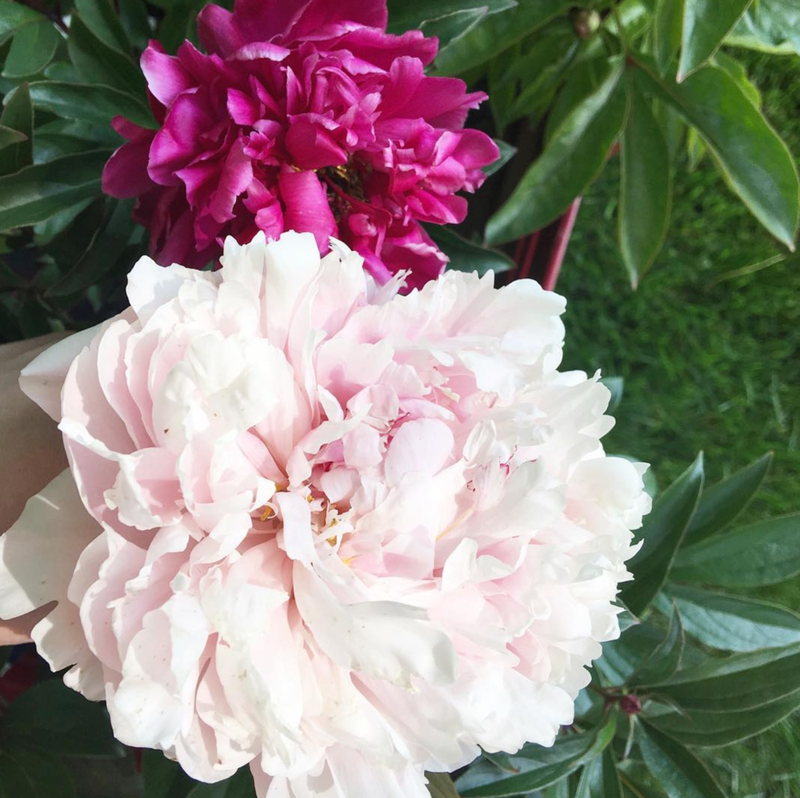 At the back wood line, I created a peony cutting garden (that I pray every year will bloom to what I imagine it will look like one day eventually). 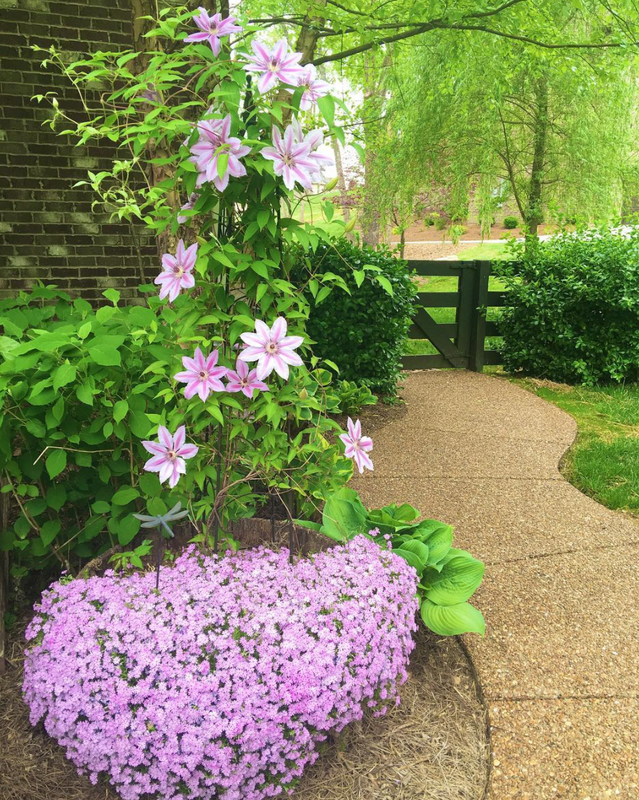 Around the yard, we have planted spring flowering trees including different varieties of cherry blossoms and redbud trees. Spring 2017 Update: We have added one each of 2x8, 2x6, 3x6, 1x2 raised beds to the garden! I'm excited to dedicate these boxes to the cut flowers (dahlias, zinnias, and some new seeds I'll try) this year. This was utilizing extra space already in the garden, hence the odd configuration.